Category Archives: It’s The Law!!! Why is it, The Law?!? Or, is it more of a guideline, than a rule? Here’s what I know, and not necessarily, when I knew it. The Law of Unintended Consequences exists in all endeavors, simply because you can’t plan for the unknown. 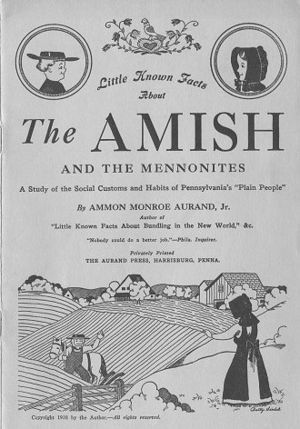 The reason should be obvious, however, for the Amish among you, if you could plan for it, it would be known, and of course, not unknown. What this means is, nobody knows anything. All we have are facts. The facts may lead you to a conclusion, however, your conclusion may be erroneous. Simply because some outside factor that you can’t possibly plan for because you don’t know that it exists, will take place, and then you’re hosed. Or screwed. Or, scrod in the future pluperfect tense. I realize that I’ve buried the lead, but I can do that, as this isn’t news, it’s an opinion column, that is mine, as I do have one, but thusly, The Law of Unintended Consequences states that no matter what precautions you take, something unexpected will take place, and you’ll be at a point where maybe, things have gone horribly wrong. At which point, you may have to start over, accept the unintended consequences, or bail altogether. For instance, you’re reading this after the election in the US, and I’m writing it beforehand. Therefore, you know who’s won, and I don’t. The media thinks they know, but they may be wrong. Hey, it could happen. According to those in the know, it already has, but I digress…. So, what this means is, you know more than I do by the time you read this. But I don’t know what you know. I may think I know, but I don’t. Because of the aforementioned law, which may only be a rule, or a guideline. If we are to define insanity, as some would, by doing the same thing and expecting to achieve different results, it follows that a definition of sanity would be the obverse, or, doing different things to achieve the same result. The problem is, due to The Law, we don’t know what that result actually is. And, it may not be what you were originally going for. Sure, when walking forward, you may reasonably assume that at some point, you may get to where you’re going. However, to travel from here to there, you first have to take half the distance to get from there back to here. And, you must repeat the process ad nauseam, until you almost get to where you’re going. Almost anything can happen during the time you’re traversing half the distance. Or to put more succinctly, you have a choice to make. If you make either one of two or possibly three choices as we’ve previously discussed, you can feel confident in the fact that you’ve made a choice, but not that you know how that choice is going to turn out. For instance, when you come to a fork in the road, as we’ve previously discussed, and for sake of illustration, you can go either left or right. Now, you would think you have two possible outcomes with the choice you’re making, however, there’s actually four, as you must accept the fact that you didn’t make the other choice. How does this make you feel? You can’t know, because, It’s the LAW!!! Disclaimer: As described above, I wrote this before the 2008 elections, and it was published after we knew who won. I’ve left it intact, as the same rule applies to the repost. I haven’t added any links, and I’d like to hope I’m 4 years wiser.